Practice your jump shot until after the street lights come on. 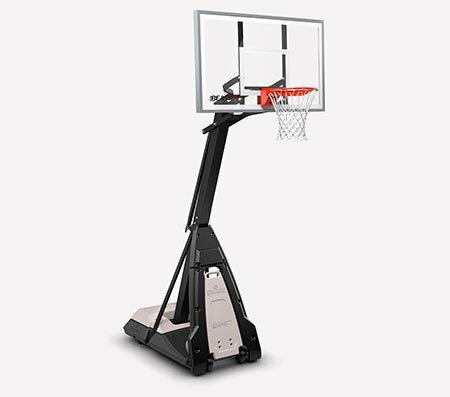 The Spalding Pro Glide™ Polycarbonate Portable Basketball Hoop System brings the park to your driveway. 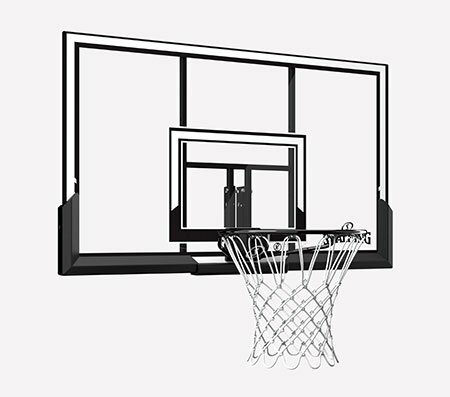 It's made for durability with a clear polycarbonate backboard that offers a good rebound. 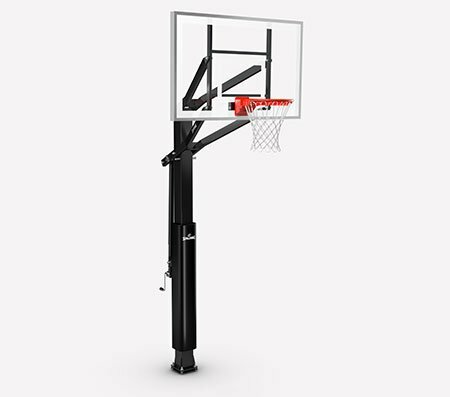 The rim is spring-loaded for a smooth breakaway, and you can adjust its height using the Pro Glide™ lift system. This hoop stands on a 37-gallon base which you can fill with water or sand, and it has two wheels for easy moving. Board size: 48" or 44" x 30"